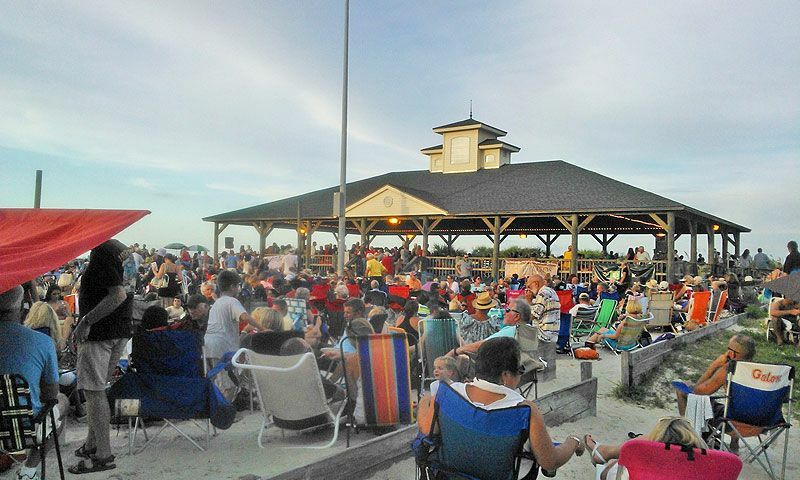 The 16th season of Music By The Sea, held by The St. Augustine Beach Civic Association begins on Wednesday, May 23rd at The St. Augustine Beach Pier Park. This free event is held each Wednesday starting at 6:00 p.m. and runs through the month of September with weekly concerts and available food and beverages for purchase. After being cancelled last week due to inclement weather, The Music By The Sea event will kick-off this week with the sounds of 80’s cover band Slang, and food sponsored and provided by Scooby Q BBQ. The event will also use this Wednesday as an opportunity to support local artist and volunteer Paul Slava who has a new liver but still faces more challenges that include large medical bills. Money collected through beverage purchases will go to assist Paul with his expenses. You can learn much more about the Music By The Sea by visiting The Civic Associations website page for the event by clicking HERE. This entry was posted in Events at the Pier and tagged St. Augustine Beach, St. Augustine Beach Pier, St. Johns County Pier, Things to do in St. Augusitne Beach by . Bookmark the permalink.